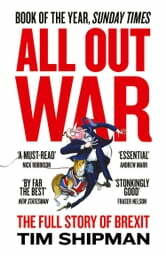 SHORTLISTED FOR THE ORWELL PRIZE 2017 #1 SUNDAY TIMES BESTSELLER ‘The best political book of the year’ Andrew Marr ‘A superb work of storytelling and reporting. Sets new benchmark for the writing of contemporary political history’ Guardian The only book to tell the full story of how and why Britain voted to leave the EU. This is the acclaimed inside story of the EU referendum in 2016 that takes you behind the scenes of the most extraordinary episode in British politics since the Second World War. With unparalleled access to all key players, this is a story of calculation, attempted coups and people torn between principles and loyalty. It is a book about our leaders and their closest aides, the decisions they make, how and why they make them and how they feel when they turn out to be so wrong. 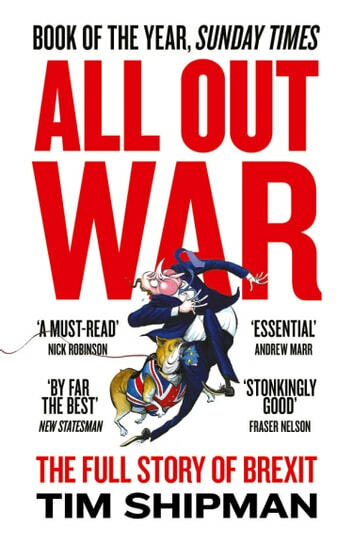 In All Out War, Tim Shipman has written a political history that reads like a thriller, exploring how and why David Cameron chose to take the biggest political gamble of his life, and why he lost.